Joe and the Star crew went out to Gary Lang Kia. 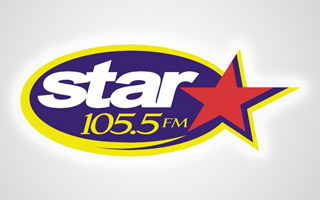 Star listeners had the chance to win Star swag and tickets to Richardson Adventure Farm. Tyler went out to Crystal Lake South for their Homecoming Game. Star listeners dropped by the table to win some Star swag and tickets to see Sia. Joe was at the Grand Opening of Lucky Bernies in Woodstock. During the event, the Mayor showed up to help cut the ribbon. Riverbottom Ice Cream Shop Co.
Joe was at the grand opening of the Riverbottom Ice cream shop in Algonquin! Joe was hosting the annual McHenry Bank and Trust free BBQ! The Star 105.5 team was at the Nicholas Conservatory for the Lorikeets exhibit! Joe from the morning show at the annual Beatles blast at the Cottage! Joe was at Gary Lang Chevy with giveaways and lots of deals on cars! The Star 105.5 team celebrated Joe’s big 4.0. at Famous Freddies in Fox Lake with lots of listeners! Joe was hanging out at the Gary Lang Auto Group giving away a family pack to the Illinois Railway museum! PJs & Presents Party at McDonalds!